If you think that classic antivirus and antispyware protect you from spyware, then you will be disappointed. Let’s do a simple experiment. Head over to google.com and type «antispyware». After entering “antispyware”, this time it was issued 40 million results. In the first place was superantispyware.com with their product “SUPERAntiSpyware”. A beautiful name and excellent place in the search results. Let’s test this super antispyware. 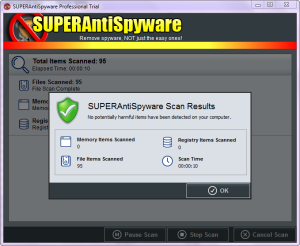 Download and install SUPERAntiSpyware. 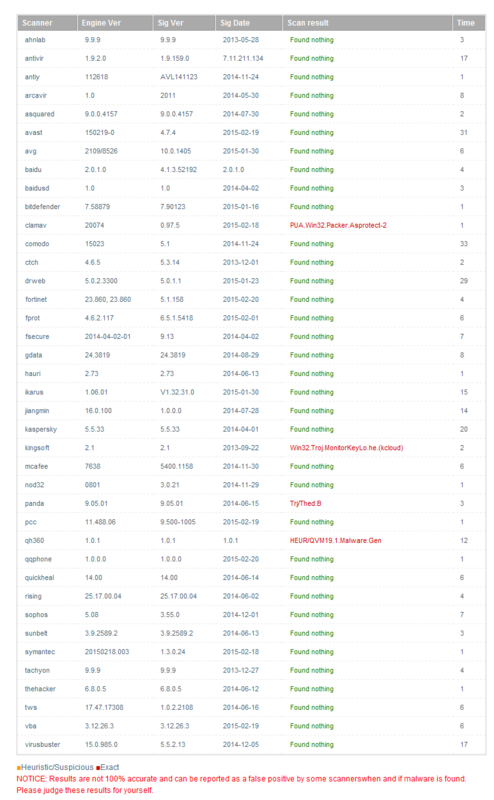 We load spyware Mipko Personal Monitor and another twelve spies and rootkits. We have chosen spyware Mipko not accidentally. According to our experts, this is one of the most serious spies, who received a high rating in our laboratory. Message issued by antispyware, is the same as in the previous test tells us about the absence of threats on the computer. 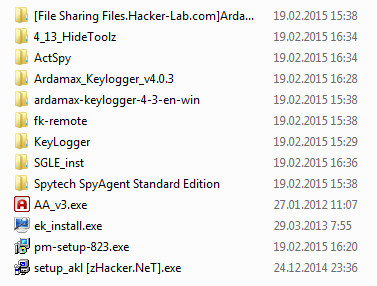 Let’s check out another antispyware utility. It was in fourth place in the search results. This is a veteran of anti-spyware movement – Spybot. Currently, this program includes antivirus module. 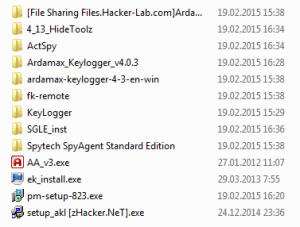 You can see that all files in the folder of spy marked as clean. Encouraging that at least 4 out of 40 antivirus saw a threat in the Mipko. Take a close look at the list of antivirus programs. There is a high probability that some of them are installed on your computer. Do you understand now that you are not protected by antivirus and classical antispyware from modern spyware? However, with COVERT Pro you can protect yourself from all spyware. 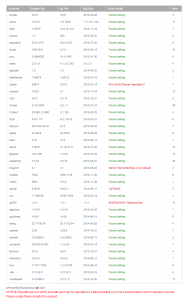 Because it does not use the standard methods – search of spyware signatures on the hard disk. All spyware and rootkits COVERT finds in the memory using its monitors – Driver, Processes and System services. It creates secure platform that allows you safe work even on an infected computer.